Prevention plays a significant role in keeping your teeth in their best form. That’s why we at A Plus Dental encourage our patients to embrace our preventative dentistry services and to introduce their children to such services as well. Take a look at our preventative services. Dental check up is the core of our preventative services. In a regular dental check up, your dentist will assess the status of your oral health. Your dentist will check for any signs of possible dental problems. Not only your mouth, but also your neck and jaw will be checked for any abnormalities. Our goal is to teach your kids how to properly care for their teeth, and create a positive, comfortable feeling about visiting the dentist. We firmly believe that good oral health is an essential component of total health and wellbeing. In consideration of the special development needs of children, the dentists at A Plus Dental Clinic use unique treatment methods in order to maintain good oral health and avoid future dental complications. At A Plus Dental, we encourage parents to teach their children the importance of developing good oral hygiene habits at a young age. In line with this, we also want you to maximise your child’s free dental care services covered by the Child Dental Benefits Schedule. CDBS is intended to benefit children ages 2 to 17 years who receive Government Benefits. An eligible child will receive up to $1000 worth of basic dental treatments over 2 calendar years. The right dentist should satisfy the dental needs of the whole family. At A Plus Dental, our team easily adjusts to the special needs of each age group. We take pride in our efficiency at adapting our dental services to what the situation calls for. We are a family-centred dental facility. You and your loved ones can expect warm accommodation and quality dental services at our office. Good oral hygiene is the absence of any dental issue in your mouth. It includes teeth free from plaque, healthy gums, and of course fresh breath. If you have good oral hygiene, your teeth are strong and function very well. The benefits of good oral hygiene are long and extensive – they extend through all your other activities and affect your overall wellbeing. 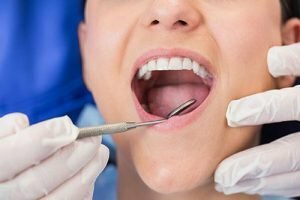 Scaling is a treatment that cleans teeth by removing food particles (which are present in the teeth as well as the gums), tartar, and external stains that are difficult to remove while brushing. Scaling is a routine procedure and it does not affect one’s teeth, in fact it cleans teeth and maintains dental hygiene. A Plus Dental invests in updated dental equipment for better performance and optimum patient safety. Our digital X-rays are safer compared to the traditional equipment, as they emit lower radiation levels. X-rays are important to detect dental problems that are not visible to the naked eye. Mouthguards are dental appliances worn by sports-enthusiasts to protect the teeth and soft tissues in the mouth during sports. This protective equipment receives the impact and cushions the blow in case of an accident. Similar to mouthguards, night splints are dental devices worn in the mouth to protect the teeth. They are worn by bruxism sufferers. Bruxism is a disease of the jaw, which involves excessive and unconscious grinding of the upper and lower teeth. Grinding can happen anytime but is most prevalent at night, during sleep. Not all areas in the mouth can be properly brushed. The molars can’t be reached and brushed properly, thereby making them vulnerable to decay. To protect your molars, we recommend dental sealants. Dental sealants are thin plastic protective coatings, which cover the molars to protect them from cavities. Care for teeth better with preventative dentistry services at A Plus Dental. Say hello to a lifetime of good oral health the moment you experience our preventative dentistry services. 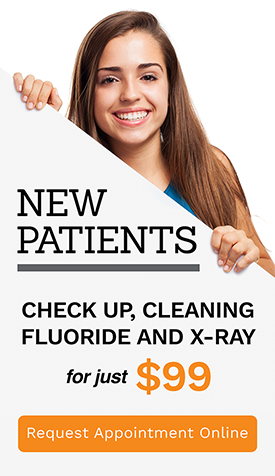 Call (02) 4627 3833 or visit us at Suite 3/300 Queen Street in Campbelltown. © 2019 A Plus Dental. All Rights Reserved.